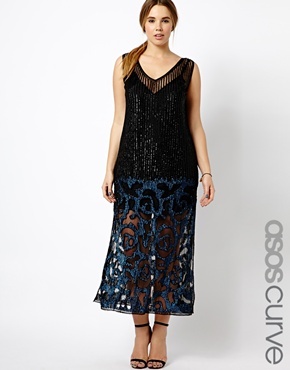 I have been waiting for months for the new Asos Black for Curve Collection to drop. When I first saw a few of the pieces on other bloggers post I was excited for what was in store. Well I just checked the Asos website and a few items are now available such as my personal fave the ASOS BLACK FOR CURVE Shift Dress With Armour Beading ($326.68) which is a great look-a-like for a dress that Khloe Kardashian wore here. But for some reason the website is acting crazy at the moment. Once I grabbed the info on this shift dress, when I went back, all of the other dresses that I was just about to post on were not showing up. I’ll keep you all posted on the rest of the collection but I’m glad I was able to grab the url for this dress when I did, whoooh.